The Sister Table is a food and lifestyle brand founded by sisters Benjamina and Bonita. 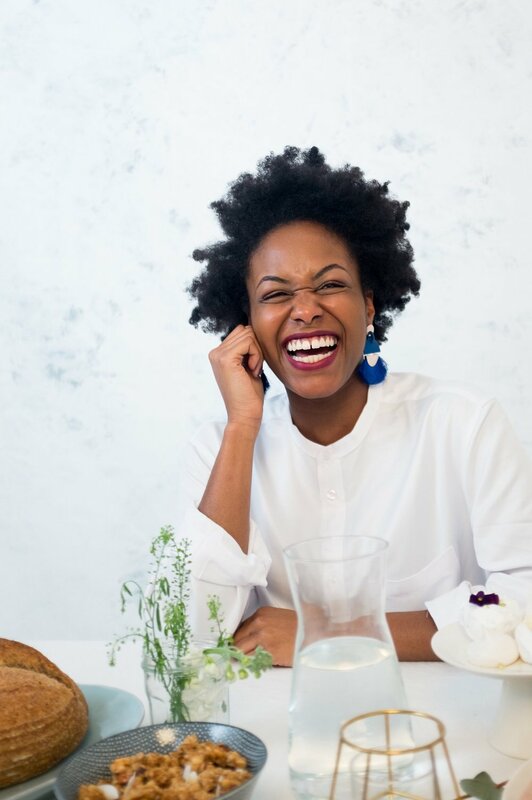 Benjamina was a quarter finalist on Great British Bake Off 2016 and is currently a food stylist, recipe developer and ambassador for the social enterprise Luminary Bakery. Her sister Bonita is a stationery designer and marketing officer for a mental health charity. Together they share a mutual love of enjoying food in good company with purposeful conversation. Both believe that a shared dining experience encourages inclusion and a real sense of belonging. The Sister Table was born in the hopes that women would have a space to regularly meet, eat and share.